In light of this month’s special edition newsletter (February 2014) on Jesus’ use of Gehenna, we’d like to feature a presentation from our The Jesus Dialogue series, entitled Do I Have to Believe in Hell? If the traditional view of hell proposed by western, American Christianity has troubled you, if you have been challenged with how to reconcile an eternally burning hell where souls are eternally tormented with the picture of an enemy-embracing, enemy-forgiving, enemy-loving God that Jesus gives us in the Sermon on the Mount, if you have wanted to be a Jesus follower but can’t quite seem to embrace the above, we’d like to offer you this presentation. 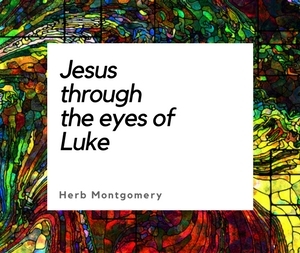 Herb demonstrates that not only has there always been a mixture of interpretations among Jesus followers on this subject (three to be exact), Herb exegetically and clearly shows us that someone does not have to embrace eternal torment to be a Jesus follower. And in all actuality, you most likely won’t.